Home > News > Product Knowledge > How to make the Cone Crusher start Quickly in Winter? How to make the Cone Crusher start Quickly in Winter? Because of cold weather, when use cone crusher at winter, the diesel engine is difficult to start, the cooling water and electrolyte are easy to be frozen, at the same time, the spare parts abrasion and fuel consumption are significantly increased, which makes the cone crusher is difficult to start. How to make the cone crusher start quickly in winter? 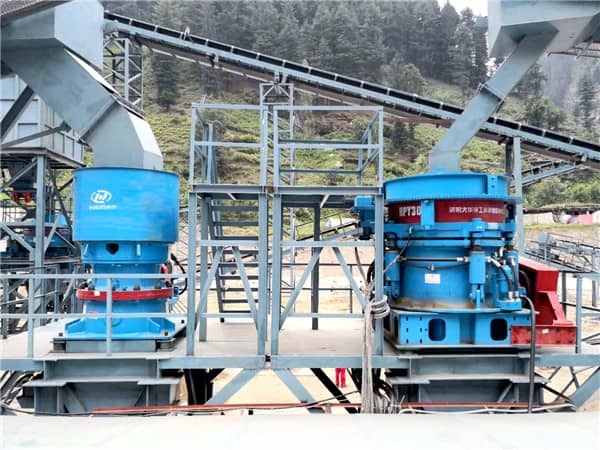 Before entering the winter, corresponding maintenance measures must be taken to thoroughly check and maintain the crusher to ensure the stable condition of machinery. Below, please follow the editor to see how to make the crusher start up quickly in winter? 1. Replace to the winter specialized lubrication oil and grease. Before change the oil, keep the machine clean. 2. Choose the diesel with low condensation point so as to reduce the fuel consumption. 3. Check electrical connection of storage battery, charge the battery and maintain preheating device. 4. Maintain start motor, and raise charging voltage of electric generator. 5. Check the breaking fluid is sufficient or not in the break system. 6. Check the spare parts of crusher and solve the problem immediately. Many customers will worry about the production in winter, as long as we are in accordance with the operation specification, carefully maintain the equipment, the operation will not be affected by the low temperature. This can guarantee the output and realize profit.